A tip about a shoplifting suspect led to a chase and the arrest of a man the Indian River County Sheriff's Office described as a dangerous fugitive. On January 8 Wal-Mart's Loss Prevention Office called the department about a man it said had concealed a BB gun in his clothes at the store on 20th Street. A tip about a shoplifting suspect led to a chase and the arrest of a man the Indian River County Sheriff's Office described as a dangerous fugitive. On January 8 Wal-Mart's Loss Prevention Office called the department about a man it said had concealed a BB gun in his clothes at the store on 20th Street. 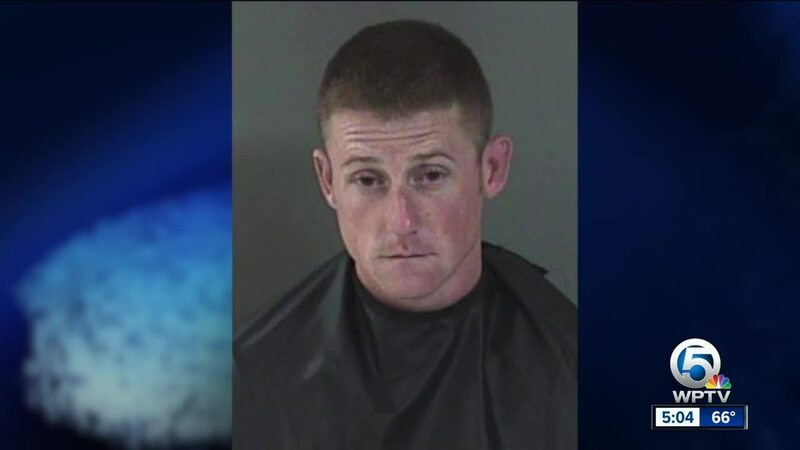 As deputies arrived the man was leaving, so the sheriff's office said deputies chased him through a construction site with unfinished buildings and then an area with trees and two small ponds. Investigators said 31-year-old Kenneth Fitzgerald resisted his eventual arrest and began kicking at them even after he was in handcuffs. They obtained a search warrant for his vehicle and said inside it they found a loaded .25 caliber pistol, three homemade suppressors, 130 grams of crystal methamphetamine, small amounts of LSD and marijuana, a digital scale, and counterfeit money. After a check of records the sheriff's office said it learned Fitzgerald was wanted in Kentucky for grand theft of more than $10,000.00 and absconding parole and that he had several prior convictions for violence against first responders. “The apprehension of this man was a true team effort by our deputies and detectives. We are glad Fitzgerald is off the streets and behind bars where he belongs. Thanks to our men and women who put their lives on the line every day to protect our community,” Indian River County Sheriff Deryl Loar said in a statement. Fitzgerald faces charges of resisting arrest with violence, trespassing on a posted construction site, and retail theft and is being held without bond.